What Kinds of Plants Are Native to Egypt? Is the Lavender Plant Invasive? Although there are many plants that have been brought into Egypt from other locations, several Egyptian plants are native. These native plants grow in environments ranging from the fertile river areas to the arid mountains. Some of Egypt's native species are used for medicinal purposes. 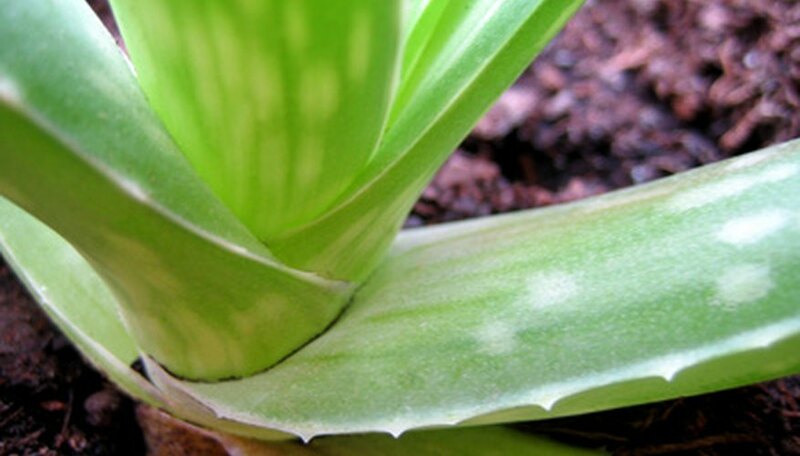 Aloe vera (Aloe barbadensis) is well known for treating burns, sunburn and other skin ailments. 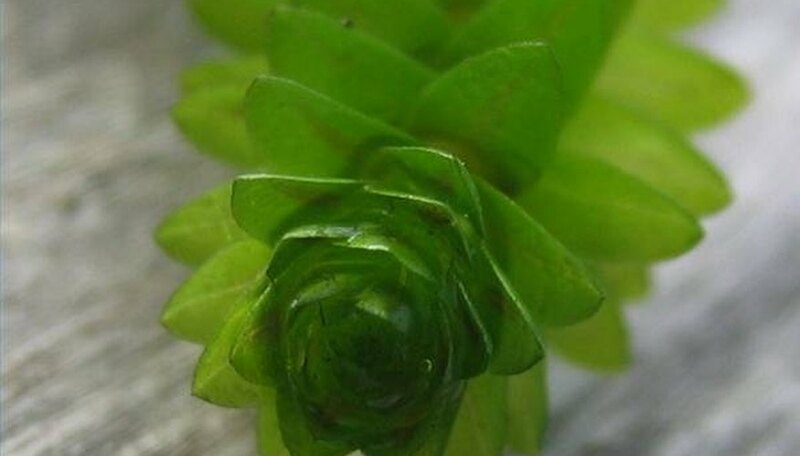 This member of the lily family grows with thick, spike-shaped leaves that contain a gel. It is the gel that is used topically. According to the U.S. National Library of Medicine and the National Institutes of Health, the lining of the leaves is also used as a laxative. The plant typically blooms in the winter. Golden Wickweed (Phlomis aurea) grows on the South Sinai mountains. The plant has large yellow flowers in the summer and silver-green leaves. It is also called Sinai Jerusalem Sage. This plant grows in stony wadis, or dry stream beds filled with stones. It is locally known as A'warwr, and the Bedouins use it to treat fresh wounds. The Golden Wickweed is very rare. Sinai Catmint (Nepeta septemcrenata) is named due to a fragrance that attracts cats. This plant has small purple flowers and is a member of the mint family (Lamiaceae). The Bedouin name for this plant is ghameeSa. Sinai Catmint lives in the Sinai mountains at high elevations. It is a rare plant that is pollinated by bees. According to the International Journal of Natural Products and Medicinal Plant Research, scientists in Egypt are researching anti-viral, anti-microbial and antioxidant properties of the plant. Chile is home to the Rhodophiala Bifida, which is a small bulb flower similar to the Amaryllis. Plant leaves typically range from 8 to 12 inches in length and are a dark green color. The flowers themselves are dark red, though the miniatum variety has light pink blooms with red veins. Rhodophiala Bifida bloom in the summer and produce 2-inch blossoms in clusters shaped like umbrellas. 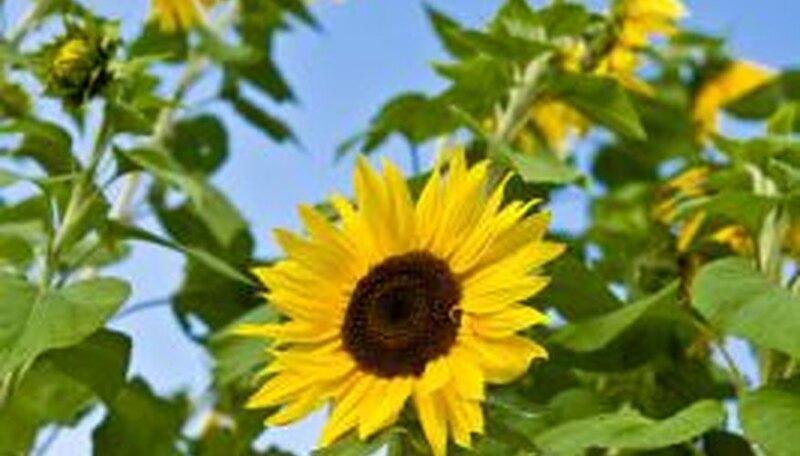 They work in flower beds or as potted plants and require moderate watering. The Erythrina cristina galli, also known as ceibo, sebo or bucar is the national flower of both Argentina and Uruguay; it is also the official tree of Los Angeles, California. It grows on the Erythrina tree, known as the Cockspur coral tree in English. The flowers are carmine, or deep red, in color and bloom between November and February. The tree grows to a height between 10 and 20 meters and is native to Argentina, Uruguay, Brazil and Paraguay. The seeds of the Eruthrina tree are said to be poisonous and the flowers themselves have narcotic effects. The trees can grow in swamplands as well as urban areas. The Cantua Buxifolia, known as the Cantuta, is the national flower of both Boliva and Peru. It is native to the Andes mountain region. The Cantuta blooms in late spring and produces tubular flowers ranging in color from white, pink, purple, striped and on occasion, yellow. The tubes are around 3 inches in length and will last for several weeks. The plant can grow in sun or shade, inland or near water. It needs well-drained soil and should not be over- or under-watered. Take a piece from an established frangipani tree. These cuttings can be sold pre-cut, but if you have to cut the piece yourself be sure to wear gloves as the sap from this tree can burn the skin. Cut a piece that is at least 6 inches long. Set the cutting in a cool dry place and allow it to dry out and heal the cut edge. Fill a large pot with a mixture of two parts soil to one part sand. Plant the cutting in the pot by simply sticking it into the dirt, about an inch deep. Water the cutting every two weeks until it has grown roots. Keep the plant near a sunny window. Optimally franipani need at least six hours of sunlight a day. Lavender is not native to North America, but it is not considered to be invasive. Provide well-drained soil or plant in containers for best results. Coastal wallflower (Erysimum capitatum) is perennial in U.S. Department of Agriculture plant hardiness zones 3 through 7 -- and the biennial form (Erysimum asperum) has a similar range. These native varieties will self-seed, a must for plants that only live for two or three years. English, or Aegean, wallflower (Erysimum cheiri) is a colorful non-native biennial, that grows in USDA zones 3 through 9. Allow perennials and biennials to bloom and set seed before cutting them back in late summer or fall when the seed pods dry and shatter. Collect seeds before their pods shatter to plant wallflowers elsewhere. Annual wallflowers such as Alpine wallflower (Erysimum linifolium) -- and others treated as annuals -- complete their life cycle in one year. Pinching in early spring before flower buds begin forming forces the plant to bush out, increasing bloom. Cut annual wallflowers early to use in arrangements -- they will continue to bloom until they can set seed -- or late summer heat causes them to fade. When flowers stop, cut the plant back or pull it -- it's finished. This shrubby tree is a mass of color during spring, with yellow, pink, and purple tube-shaped flowers. It will reach 15 to 50 feet tall and grow slowly. Ipe trees need fertile moist soil and full sun for best growth. Water very little in winter, but frequently during its growing season. Ipe tree is grown in USDA hardiness zones 9 to 12. Trumpet tree can be plagued with spider mites, dieback and leaf spot. Keep a careful watch on leaves for infestations. The Ipe tree can be propagated by air layering or by semi-ripe cuttings in spring. Trumpet tree needs to have weak branches pruned. It is not a no-maintenance tree. Remove all but the strongest branches when the tree is young, 2 to 3 years old, at the base of the branch. Remove any dead, damaged or diseased foliage from the acacia tree at the base of the branch. Cut off the foliage with the shears if the branch is thin or the saw if it is thick. Remove any drooping branches or branches that make it impossible to walk under the tree. Remove the branches at the base of the branch with the saw. Remove any crossing branches or branches growing vertically at the base of the branch with the saw. Cut back any over-reaching branches to within the canopy with the shears. Order Elodea online from a reputable supplier who will deliver fresh plants in water with Federal Express or some other fast delivery service, and often provide price discounts when buying in bulk. Buy Elodea from a local aquarium hobby store or a pet supply store that sell fish and aquarium habitat material. Acclimate your new purchase according to the instructions included with it to ensure that temperature, salinity and light exposure are adjusted gradually and don't shock the plants. You can do this by turning off the aquarium lights for 10 or 15 minutes and floating the bag with the plants in it to bring the temperature into equilibrium with the tank water. Place the plants in the tank with long form tweezers or sterilized kitchen tongs. Nestle the root ball under some bed gravel or anchor with a decorative stone or two. Contact nonprofit environmental education resources for information on Wisconsin native plants and landscaping. A major Wisconsin nonprofit, Wild Ones, offers landscaping and plant conferences, school-habitat lesson plans and project grants, and membership chapters with volunteer opportunities throughout much of the state. Combining hands-on experiences with community advocacy, Wild Ones offers many resources to gardeners interested in native-plant landscaping. Search the Wisconsin Department of Natural Resources website for lists of native-plant and native-landscaping companies. The department cautions against viewing these commercial listings as endorsement by DNR. The list still provides avenues of inquiry for gardeners' specific questions and needs. Consult the U.S. Environmental Protection Agency for further Wisconsin resources. These include sources for native seeds and university-sponsored arboreteums, along with nature centers and nurseries. Space is also devoted to defining the variety of habitats characteristic to Wisconsin. The nursery list dates from 1991; the EPA refers viewers to its more general EPA/greenacres listing. Obtain more regionally specific guidance from County Extension offices. This USDA program, administered throughout the country by land-grant universities, offers free information to local residents on many USDA programs, including gardening and landscaping. A complete list of Wisconsin County Extension offices can be found at www.uwex.edu/ces/cty/. 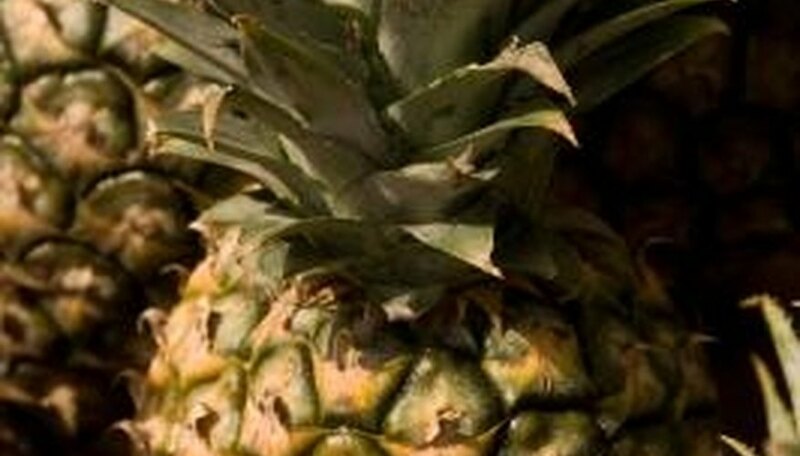 Bromeliads include about 2,700 species, with the most well-known the pineapple. Flowers are red, orange, purple or blue. A bromeliad can grow in soil, on rocks and in other plants and trees. Because the plant can gather nutrients and moisture from its surrounding atmosphere, the plant has the nickname "air plant." Rainwater collection is natural for the bromeliad due to its large waxy leaves that often look like a bowl. Frogs, tadpoles, snails, beetles and salamanders tend to make their home in bromeliads, creating a miniature ecosystem.